Dreaming .400, like baseball itself, exists outside of time. 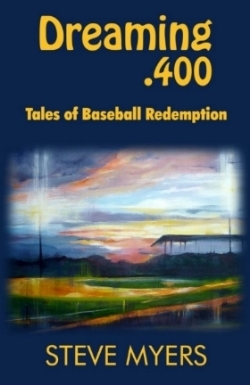 Its 11 short stories are infused with the magic of the game—in the seductive swing of a girl who turns tinsel into gold; in the passion of an orphan on a quest to reach the Astrodome; in a vision of the future in which players are made, not born. Dreaming .400 spawns pen pal love between friends that grows into poetry; it shrinks the gap between the head and heart of a Brewer’s fan; provides a way out for a teenager stuck in the shadows; inspires a vagabond to an impossible dream to be lived out between the white lines.